It doesn't feel like it's been 6 years since The Rock returned to the WWE, but it has been. From the moment The Rock stepped foot back into the WWE ring, we were all excited to see what he had planned. After he and John Cena made their WrestleMania 28 match official a full year in advance, The Rock seemed determined to stick around and contribute to the WWE product and programming. 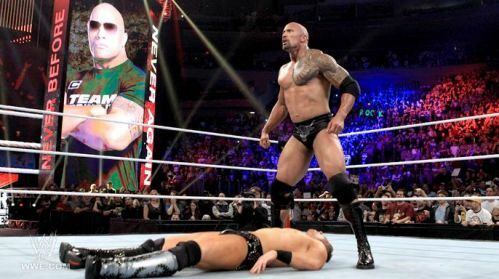 The Rock debuted in the WWF in 1996 at Survivor Series in Madison Square Garden and the moment we found out the 2011 edition of Survivor Series was in New York and MSG, many of us wondered if The Rock would make an appearance. Sure enough, he would be shown on advertisements next to John Cena with the phrase "Never Before. Never Again", and many of us figured it would be a Survivor Series elimination match between Cena and Rock with respective teams or Cena and Rock would team up together. We would find out that the headlining match for Survivor Series and the 15th Anniversary of The Rock's debut would be Rock teaming with Cena to take on Miz and R-Truth. Confusing? Slightly, but it was enough to entice viewers to tune in along with a card that wasn't too bad as well. Today, we look back at Survivor Series 2011. -I think many of us thought this should have been a match that Zack Ryder was a part of. However, that wasn't the case. John Morrison was nearing the end of his WWE career and clearly had no direction. Truthfully, we had seen Morrison vs Ziggler a number of times, so the NY crowd wasn't interested in this match much, but it was solid. Ziggler retains and Ryder makes an appearance after the match to a huge pop from the crowd. It's a really funny look back now at how Ryder was super over and also a reminder of how WWE completely killed his momentum and screwed him over on purpose. WWE hates guys who go out and get themselves over and this whole debacle was a reminder. Still, it was a cool moment to see Ryder in front of the MSG crowd. -2009-2012 was a really dark age for women's wrestling if I'm being honest. Beth Phoenix was one bright spot, but she didn't have the best competition and despite Eve Torres being athletic, this was just NOT a match that really enticed the viewer. Luckily, this was the period where WWE treated the women's matches as bathroom breaks and this match only got 4 minutes of time. Beth retains and nothing substantial occurs here. It's great how evolved women's wrestling is now because this was horrible. 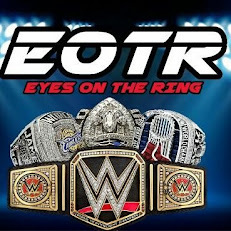 -There was the feud at the time with Wade Barrett vs Randy Orton and a feud with Cody vs Orton also, but Barrett vs Orton was the bigger feud going into the PPV. Funny enough, the year before, Barrett and Orton fought one on one at Survivor Series, and a year later, not much had really changed. However, this match itself was one of the more fun ones on the night and the longest match of the PPV at just about over 22 minutes. Ziggler is in this match and on the PPV again as a member of Team Barrett and he puts in a nice little short performance before getting eliminated. What sucked about this entire match however was the elimination order. After Ziggler got eliminated, every single member of Team Orton got eliminated somehow and Orton was left alone 4 to 1. He pinned Jack Swagger and caught Hunico with a RKO before getting caught himself by Barrett and pinned after a Wasteland. Cody and Barrett were the sole survivors in this match, helping to add more fuel to the fire of the Orton feuds with both men. -What was weird about this match is that I was slightly interested to see where it went. The match didn't go as I expected and while it wasn't bad, it wasn't substantial at all. Big Show manages to win via DQ and Mark Henry retains the title, but I can only wonder why this match got 13 minutes. Mark Henry and Big Show really had a 3 month feud during this era for the title, showing Vince still loves using big guys for title matches. Overall, this match is one of those you want to skip if you watch the event. It has no purpose. I'll leave it at that. -After the Summer of Punk, the WWE didn't really seem to know what to do with Punk. However, you could feel a career defining moment coming for him once they set this match up to rectify the fucked up handling of his story. Del Rio was a weird champion and with Punk being the most over guy during this period, one would only hope that this was his time. Punk ended up having the crowd behind him the whole time, and though he did pull out the victory via submission, I think the WWE dropped the ball with the finish and deprived the fans of that huge "1-2-3" moment with Punk. The submission was great, but Punk having the crowd chant "1-2-3" as he won the title would have been a great moment for all to see. Punk wins, celebrates with the crowd and starts his 434 day title reign. This was a landmark moment in WWE history when you think about it. -An underwhelming main event in a big way, this match didn't make a lot of sense. Why would Cena and Rock team up against Miz and R-Truth? It just didn't make much sense. However, it was a good excuse to have Rock wrestle at his 15th Anniversary without having him do a lot. It was a warmup match basically. The match itself wasn't bad at all, but it wasn't great by any stretch. Rock doesn't wrestle much in the match, but he does manage to showcase some moves just to prove he's still got it. Cena takes a bulk of the punishment and leads the match until making a hot tag to Rock who eventually cleans house and hits a Rock Bottom on Truth along with a Sharpshooter before finishing off Miz with a simple spinebuster and People's Elbow. It was an anticlimactic finish if I'm being honest, but for nostalgia purposes, Rock hitting a People's Elbow and getting a 1-2-3 was pretty cool to see nearly 8 years later since the last time he was in ring. Rock ending the PPV with a Rock Bottom on Cena was a nice touch too, but just a bit random to close it out. Overall, Survivor Series 2011 wasn't one of the worst, but certainly wasn't one of the best events in the history of it. It's essentially middle of the road with no classic matches and only a few great moments on the night, including the backstage promo from The Rock earlier in the night before his match. It's a shame we didn't get more of that during The Rock's 2nd chapter of his WWE career. If you're bored and need something to watch on the WWE Network, give this a watch and enjoy an interesting time from WWE.